Michael gives Bobbie an update about her old house and reveals he wants to check out the place. Bobbie has an old key and agrees to go with him. Helena tells Fluke that Sam is suspicious of their soldier boy and that she&apos;ll need to be dealt with. Nikolas overhears and wonders who she was speaking to. Nikolas worries about Sam&apos;s safety and accuses Helena of masterminding Faison&apos;s escape. He reminds her that Nathan was shot and that he&apos;s a Cassadine. Helena says Liesl was lying about Nathan&apos;s paternity. Nik questions whether Faison was working on Helena&apos;s orders. Helena reminds him that he can tell Sam what she&apos;s up to, but that he&apos;ll lose everything he and Spencer have. Julian claims he doesn&apos;t need Sonny&apos;s help. 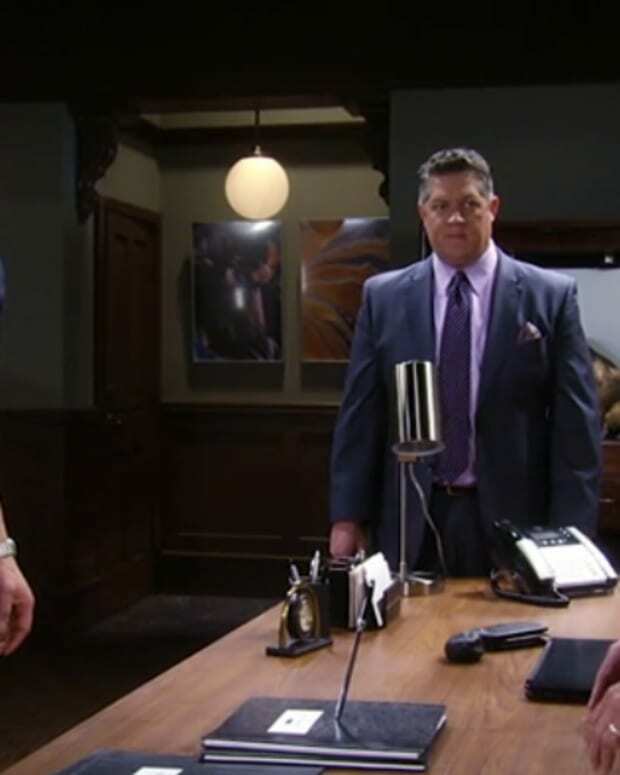 Johnny&apos;s goons get ready to get rid of Julian, but Sonny takes him out. After the dust settles, three of Johnny&apos;s goons have been disposed of. Sam wants to question Liesl about Jake possibly being the abductor. Liesl denies being on the docks that night, but Sam is quick to tell her that Spencer saw her with Helena. Liesl is less than cooperative. Sam claims she&apos;ll tell Anna what Spencer saw. Liesl admits she never saw the gunman&apos;s face and doesn&apos;t know if it was Jake. Jake tells Carly about the images he&apos;s had, despite being able to account for his day. He wonders if they&apos;re memories and whether he is Sam&apos;s abductor. Carly doesn&apos;t understand why he&apos;d want Faison released. She agrees that Jake should talk to Kevin. Jake worries that he&apos;ll find out bad stuff about himself, but Carly&apos;s instincts tell her otherwise. The two head to the hospital where Jake is scheduled to meet with Kevin. However, Helena&apos;s waiting for him instead. Carly tells Sam that she has no evidence that Jake is the gunman. Sam thinks that Helena put him up to it. Sonny wants a truce with Julian for fear of Johnny sending more men. Julian says Johnny is just the figure head and the head guy is someone with Luke&apos;s face. Bobbie reminisces at the house, but the memories aren&apos;t happy ones. She brings up her sister Patricia. Michael is surprised to hear of another Spencer. Fluke complains to Luke about Bobbie and her interference. He picks up the baseball bat and smashes something, saying he wants to crack Bobbie&apos;s head open. Michael and Bobbie hear the noise and Michael decides to investigate. 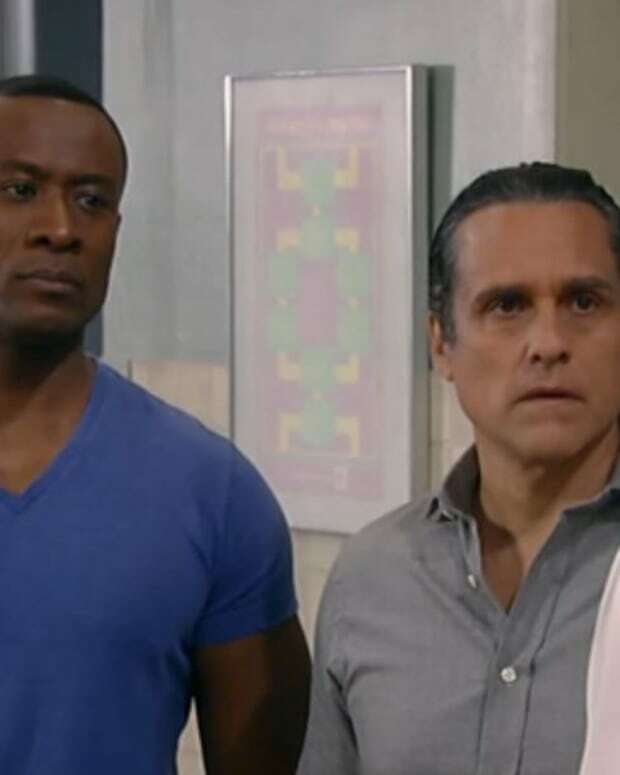 Perkie's Observations: Will Julian Rescue Ava From Sonny on General Hospital?